Cars, the animated Pixar movie that cast Owen Wilson, Paul Newman, and Larry the Cable Guy as anthropomorphic automobiles, screeched into theaters in 2006 wooing kids, parents, and critics alike. The money followed. After raking in a very healthy $462 million at the box office, Cars made $10 billion in merchandise sales alone — setting a new record in the process. So it should hardly be a surprise that when the third film in the series, Cars 3, debuts in June, it’ll be accompanied by a new remote-controlled car resembling Lightning McQueen — the movie’s intrepid protagonist. But unlike the thousands of Cars-themed toys that’ve come before it, it’s designed by Sphero, the company behind last year’s adorable Star Wars-inspired BB-8. And just like BB-8, it’s a technological marvel. Boulder, Colorado-based Sphero (previously Orbotix) has a long history in robotics. It introduced the eponymous Sphero, an omnidirectional Bluetooth ball controlled via smartphone app, back in 2011. In 2014, it rolled out Ollie, a tube-shaped, wheel-equipped toy that could reach speeds up to 14 miles per hour. Then came the Sprk and Sprk+, two translucent, colorful versions of the Sphero that support OVAL, a visual programming language. But Ultimate Lightning McQueen, the newest ‘bot in the company’s growing roster, is a turning point for the company. It looks remarkably like its on-screen inspiration, albeit a bit smaller. Sphero’s engineers collaborated closely with Cars creative director Jay Ward and supervising animator Bobby Podesta on details like styling and stickers. A few long-running series gags include McQueen’s Lightyear-branded tires and a Rust-eze Medicated Bumper Ointment decal. That’s all to say Lightning McQueen looks great powered down and just sitting on a table. But switched on, it’s far more impressive. A custom-designed trapezoidal screen under the windshield animates two big, expressive eyes that seem to follow you around the room, while a dedicated motor moves McQueen’s mouth. Meanwhile, a powerful, built-in sound system pumps out over 300 different phrases recorded by Owen Wilson, the voice of Lightning McQueen. Sphero tapped Gus Aramayo, a mechanical engineer with over 10 years of experience in the powersports industry, to design Lightning McQueen’s suspension and steering. This system consists of six motors — three for emotive side-to-side movements, two for the front tires, and one for steering — and three processors, including one dedicated to the toy’s eye animations. Five capacitive touch panels allow Lightning McQueen to respond to physical taps on the roof, hood, side doors, and rear window. There’s even an ambient sensor that adjusts the toy’s head and tail lights based on environmental light levels. Sphero provided Digital Trends with a unit to test drive, and we were struck by how life-like McQueen seems. The mouth motor’s movements sync almost perfectly with the dialogue, as do the “lift” motors above each of its wheels. During one of our favorite animations — “The Wave” — McQueen spits a witty retort while lifting the left-hand side of its body and tilting it smoothly to the right. 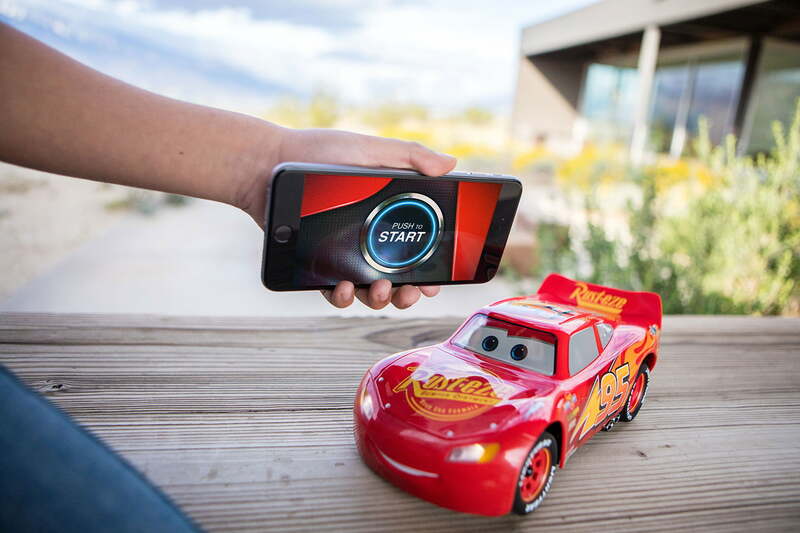 Most of Lightning McQueen’s interactions happen in the companion remote app for iOS and Android devices, which is chock full of interactive games and activities. 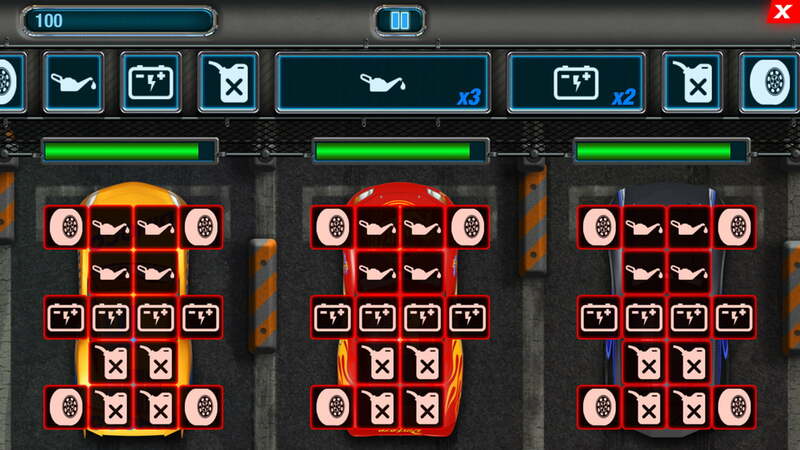 One, called Pitstop Panic, tasks you with matching conveyor belt-bound repair parts to broken cars — Lightning McQueen lets you know which parts are coming next, and offers words of encouragement. 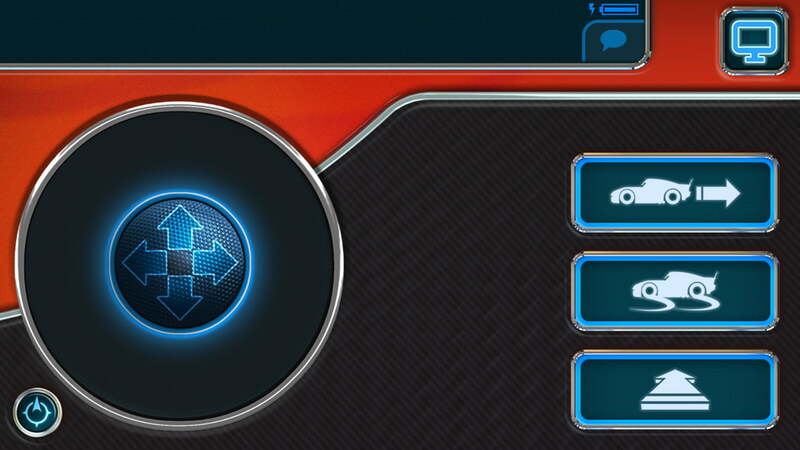 Another mode, Racing, pits you against AI competitors on a digital track. The app’s other modules tie in with the Cars movies. 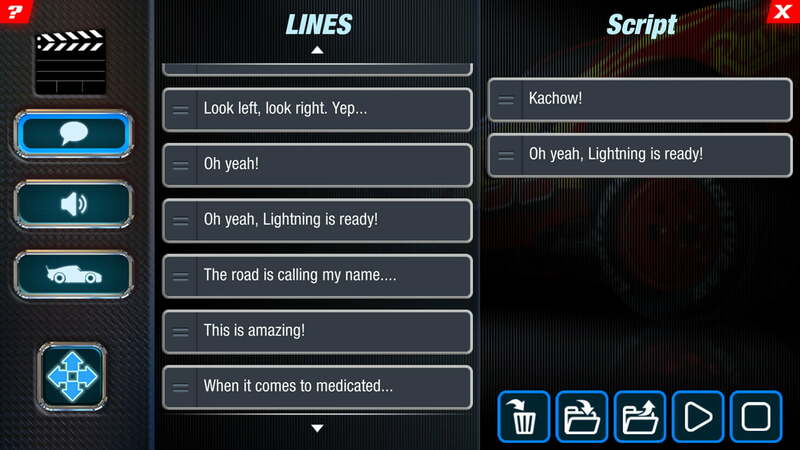 Acting Studio, for example, lets you “direct” Lightning McQueen by combining animations and bits of dialogue in a sequence, which can be played back or saved. And “Movie Mode” brings Lightning McQueen to life when you plop the toy in front of Cars or Cars 2 — he’ll react to scenes and easter eggs. The app is fun enough by itself, but McQueen’s real draw is his driving skills. Just like the toy’s Hollywood inspiration, McQueen is worth his racetrack salt. The Sphero team engineered him to drift and do donuts on any surface, including carpet, tile, and hardwood. He braces against hairpin turns, and taps a powerful drive train to reach speeds of up to six miles per hour. Based on our testing, it seems that McQueen works even better than advertised. We were impressed by the speed with which the toy traversed our tricky office floor, and pleased by how easy it was to control. If you’re familiar with Sphero’s BB-8, you’ll feel right at home with the remote control app’s virtual joystick — a “reverse” button backs McQueen out of tight corners, and a dedicated “donut” button makes shredding up asphalt (or carpet) as simple as tapping a touchscreen. But of course, all that technology doesn’t come without a few drawbacks. 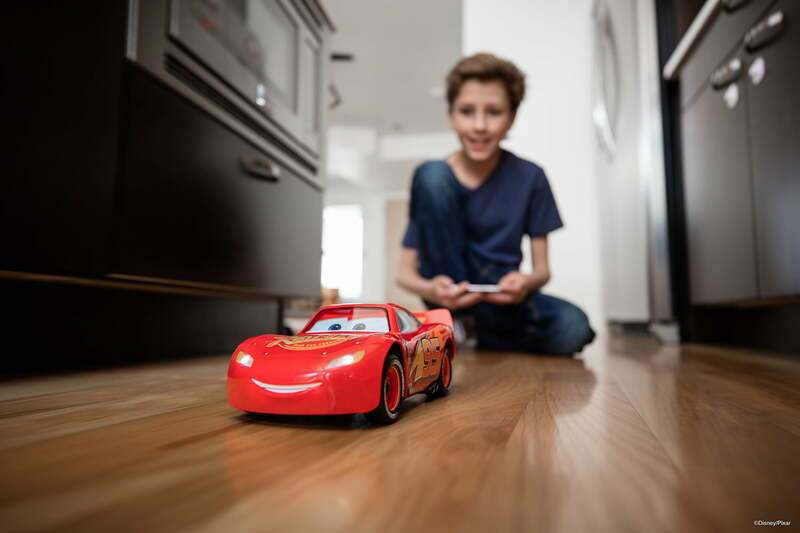 Ultimate Lightning McQueen costs $300, double the price of Sphero’s BB-8. Its built-in battery only supplies about 40 minutes of drive time after two hours of charging. 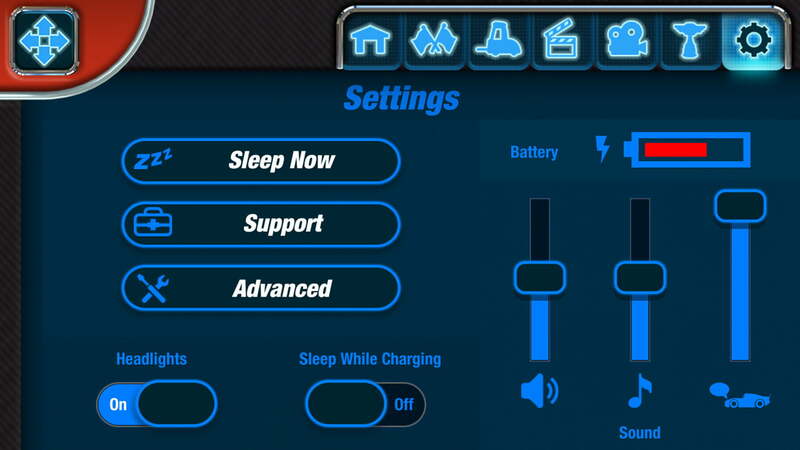 And unlike BB-8, which works with Sphero’s Force Band, the car’s remote control features require a smartphone. All that had us wondering whether the parents of Cars’s most devoted demographic — young kids — would be willing to swallow the cost. 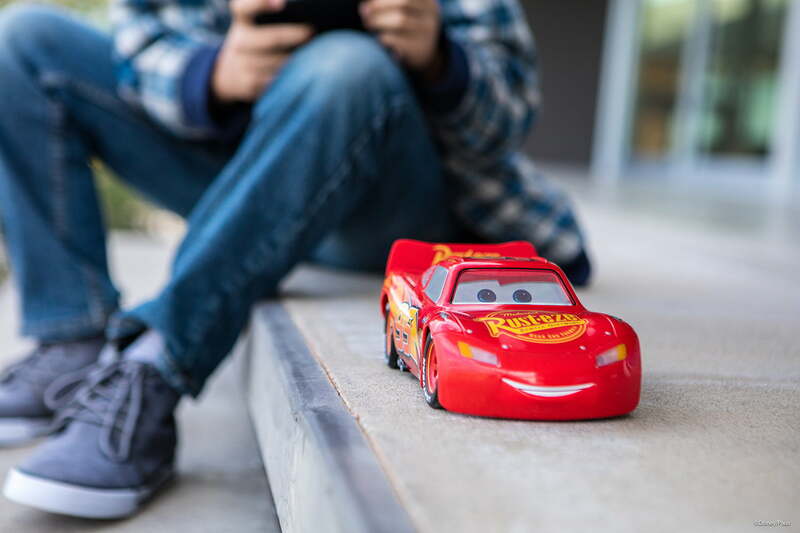 But the Sphero team sees Lightning McQueen as an investment that’ll improve over time. Already, the team is hard at work developing new animations, activities, and games — all of which will be available for free in future software updates. Ultimately, the Ultimate Lightning McQueen is a judgement call — not every would-be buyer will feel the same about it. But if you’re on the hunt for one of the most authentic and technologically sophisticated Cars toys ever made, there’s more than enough here to justify the steep asking price. 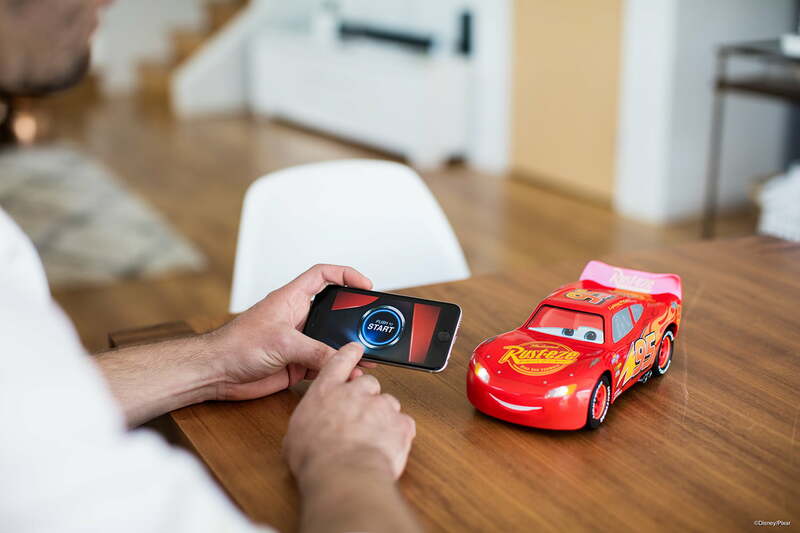 Sphero’s Ultimate Lightning McQueen is available today from the Sphero website. It’s compatible with the iPhone 5s or newer, iPod 6th Generation or newer, the iPad 3 or newer, and iPad Mini 2 or newer, and with Android devices with Bluetooth 4.0 and up running Android 5.0 or newer. A man stuffed a Chevy V8 in a riding lawn mower. Because, why not?